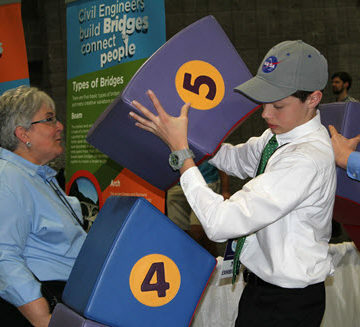 A student takes part in a bridge-building exercise with an ASCE staffer’s help at the USA Science & Engineering Festival. Who knows? The next great civil engineers may look back at this weekend as where it all began. 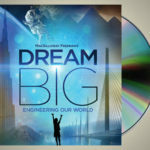 The fourth USA Science & Engineering Festival attracts thousands of students from all over the country to Washington, DC, for a gigantic, three-day celebration of all things STEM. 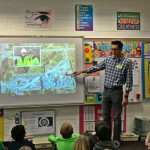 Representing civil engineering, ASCE’s sizable display pulls in kids of all ages, drawn to hands-on activities around bridge-building, enhancing sustainability, and the forthcoming Dream Big movie. 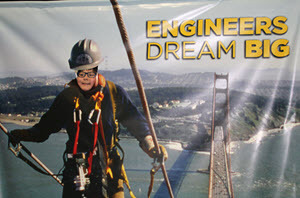 A girl pokes her head through for a picture as a Golden Gate Bridge climber at ASCE’s Dream Big movie display. 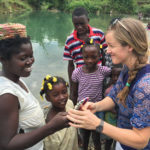 Also at the festival, ASCE will present the 2016 Sustainable Development Award to the best university student team’s project at the annual EPA P3 (People, Prosperity, and the Planet) competition. The ASCE sustainability area featured a water display of runoff-reducing permeable pavement, which quickly generated attention and conversation.